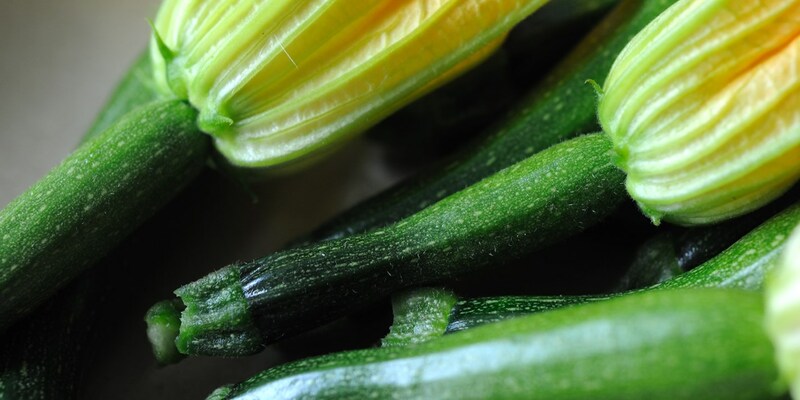 Courgettes (or zucchinis) are part of the squash family, much like pumpkins and butternut squash. Courgettes are a type of summer squash, and are very versatile as an ingredient. Botanically speaking, courgettes are a fruit but they are treated as a vegetable, as are other members of the squash family. This collection of courgette recipes features recipes that use the ingredient in a range of ways, including some dishes that use courgette flowers, such as Dominic Chapman's stuffed courgette flowers recipe. There's also Robert Thompson's red mullet with courgette tagliatelle and William Drabble's courgette pasta with Parmesan. There are many ways in which courgettes can be prepared and used, and you can find out more in our how to cook squash article.